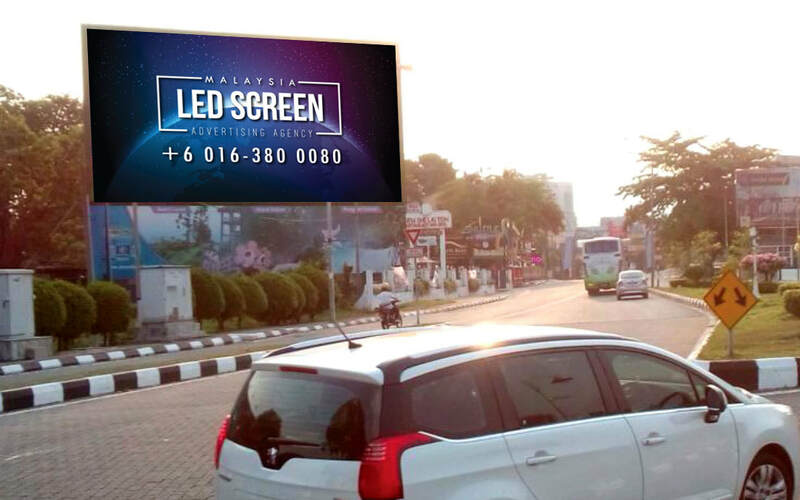 The LED display is located near the Bulatan Sultan Yussuf. 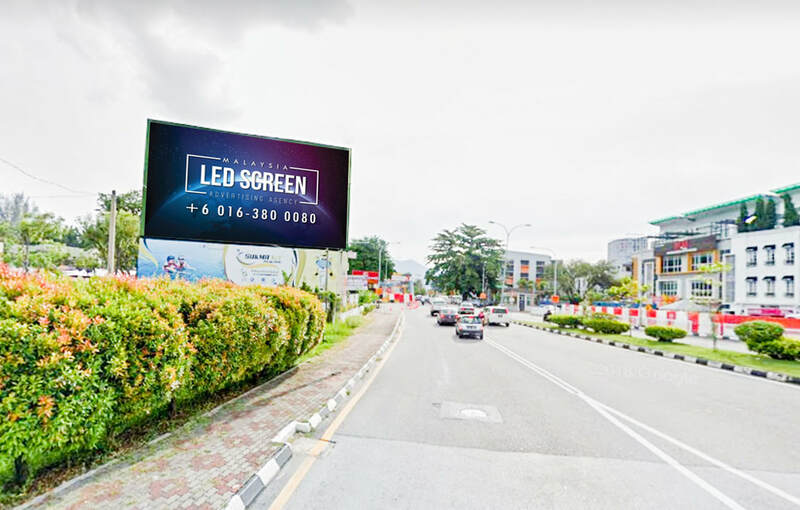 It is situated at the exit to Jalan Sultan Iskandar at the left. When it comes to marketing communication, LED screen advertising can be the solution by taking your business to the next level. 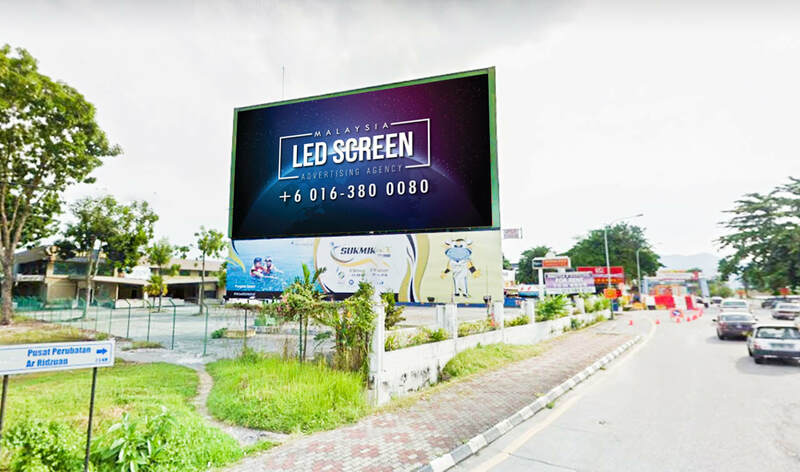 LED screen advertising provides you a platform to connect customers with your brand. 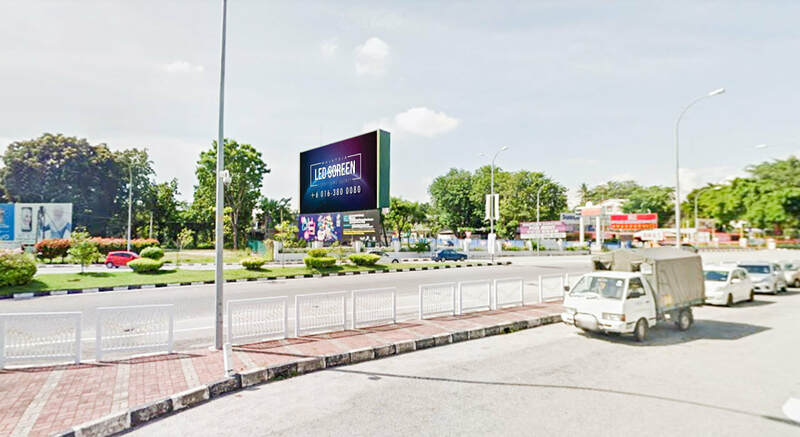 Bulatan Sultan Yussuf has a high traffic flow in Ipoh, Perak. 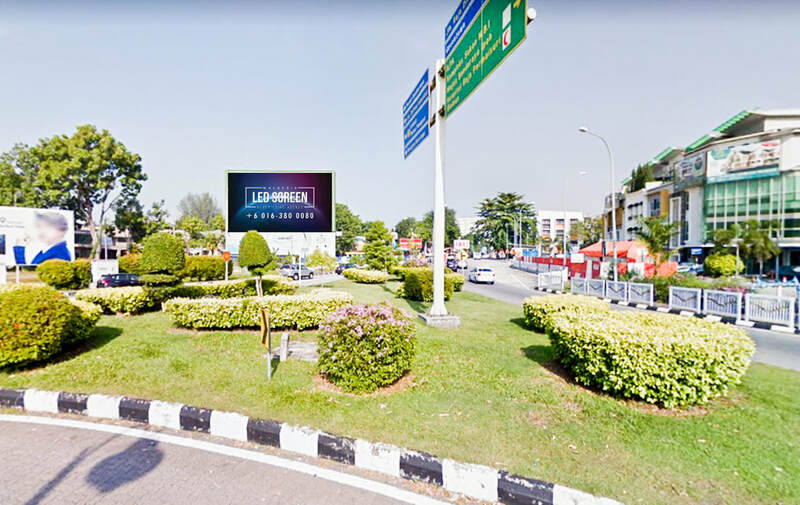 It is one of the main roundabouts in Ipoh and it is the meeting point of four major roads namely, Jalan Raja Dihilir, Jalan Raja Dr Nazrin Shah, Jalan Sultan Iskandar and Jalan Sultan Idris Shah. The centre of Bulatan Sultan Yussuf is a monument and fountain which was build in 1963. The monument and mountain is one of the most recognisable landmarks at the gateway to the Ipoh city centre. 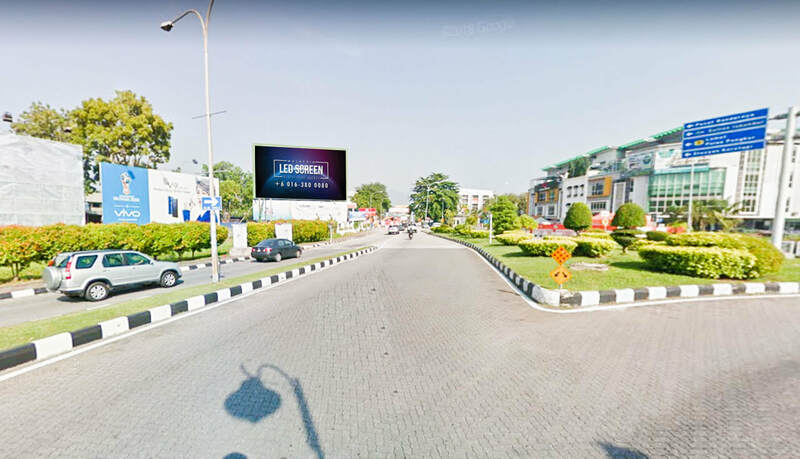 The roundabout has high traffic flow, so the LED screen will definitely grab the attention from drivers and motorcyclist who uses the roundabout.